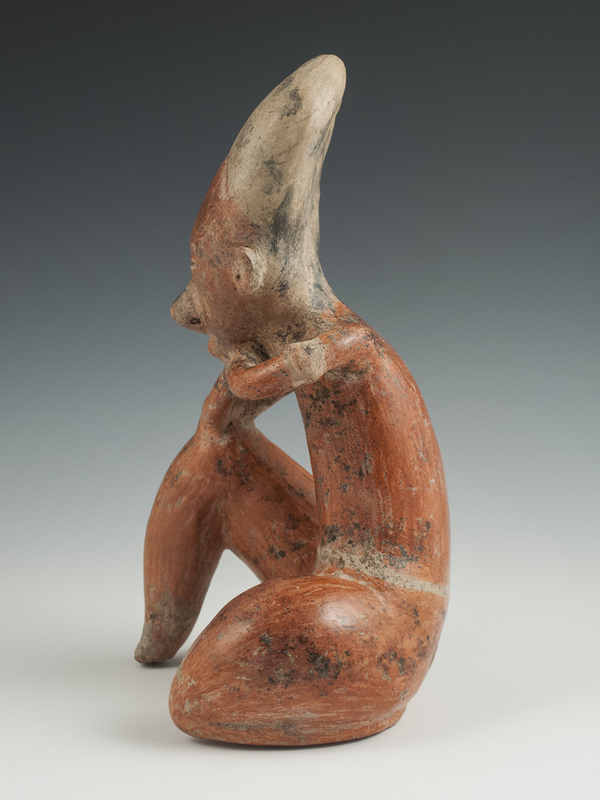 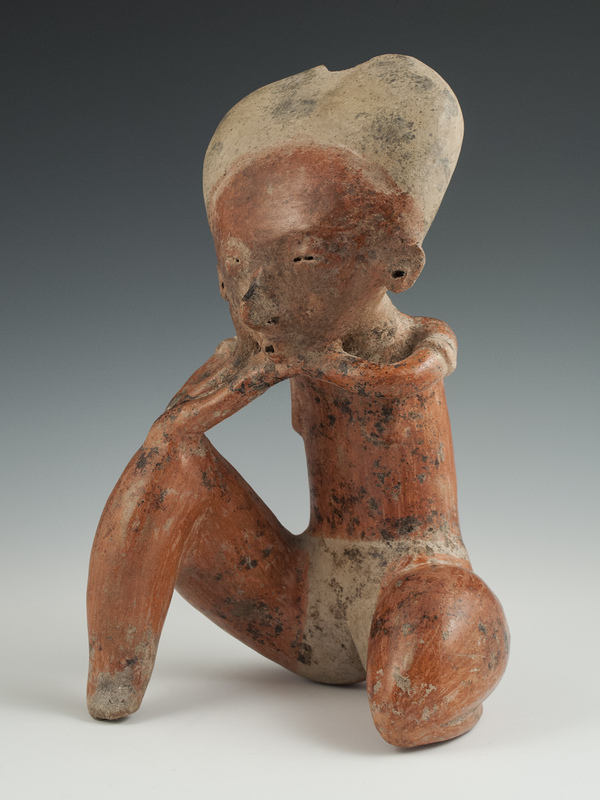 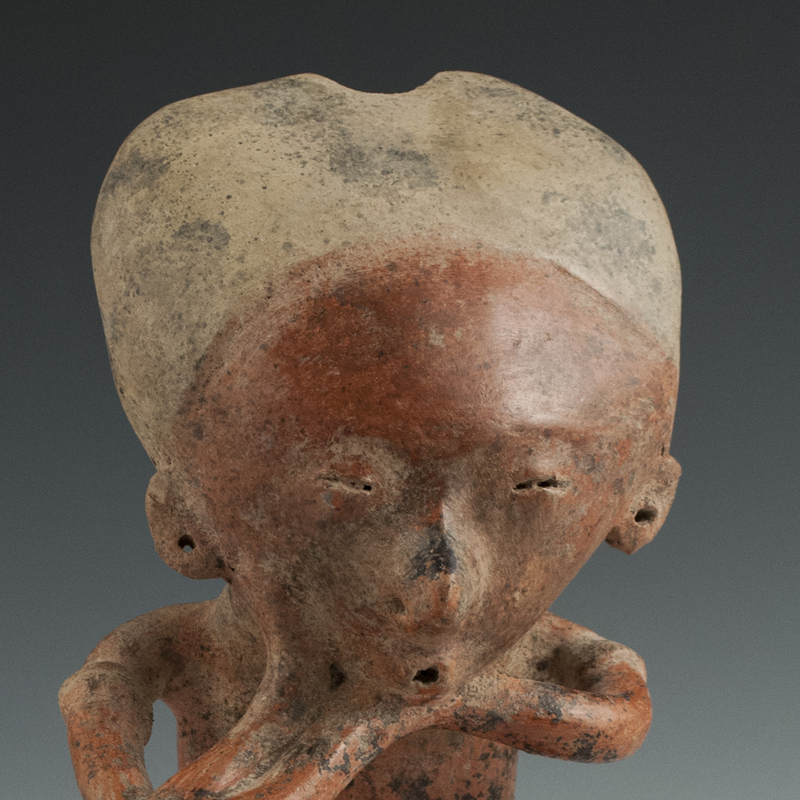 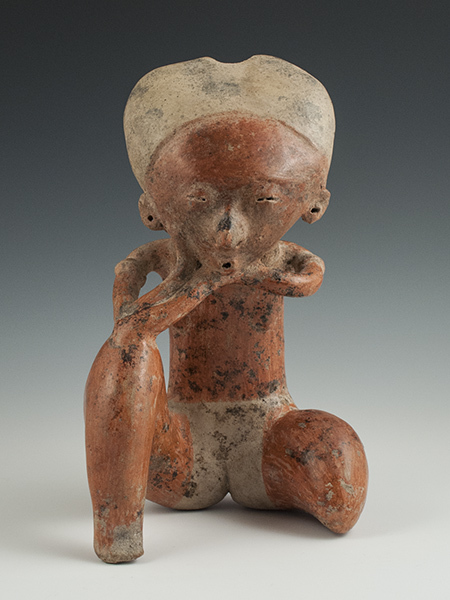 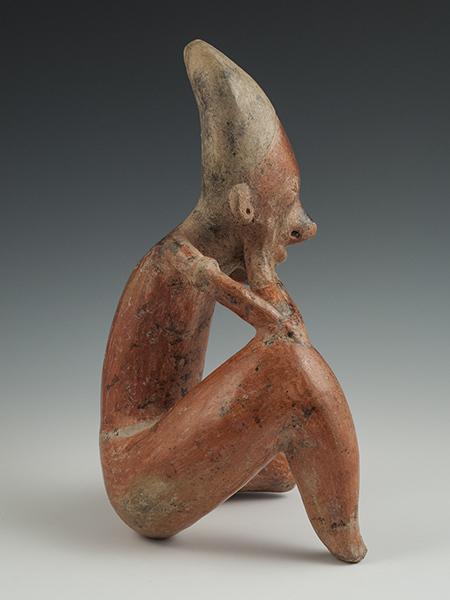 A sweet Chinesco female figure sits on her left foot while resting an elbow on her bent right knee, right hand to the side of her face. 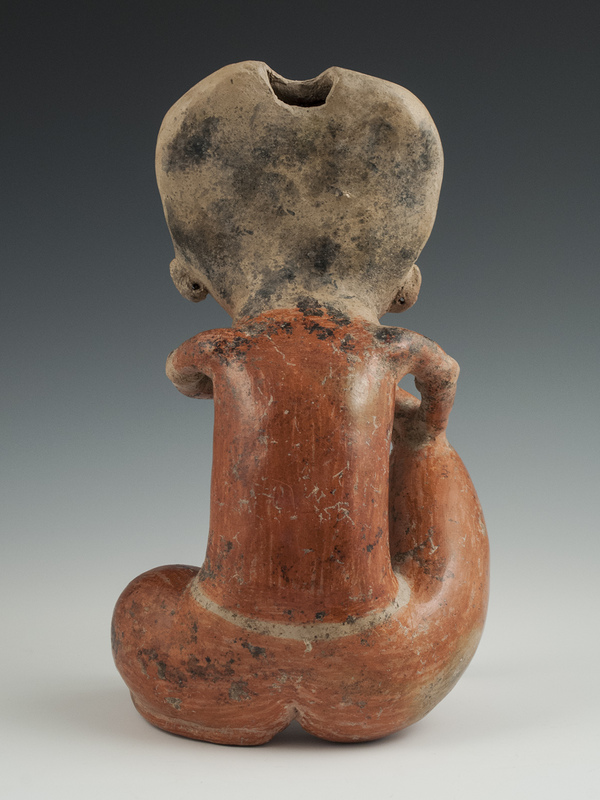 Her heart-shaped face has delicate features and pursed lips that portray an expression of contemplative awe, as if beholding something special. 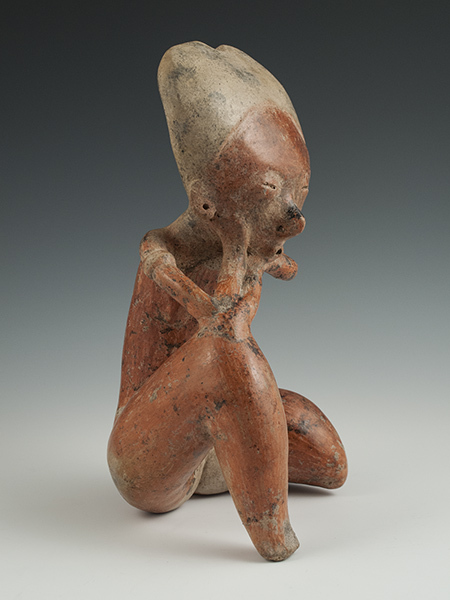 She wears upper arm bands and buff colored bikini shorts and crown; her ears are piecred and there is a firing hole on the top of her head. Ex. private collection, Iowa, ex. 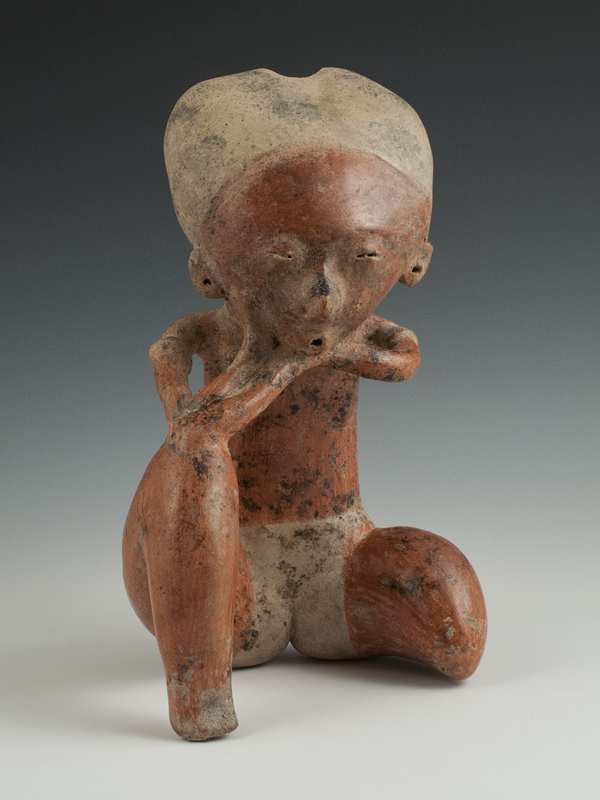 Sotheby's Pre-Columbian Art, NY, November 23, 1992, Lot #400.